Zip around town or commute in style on the Carlton—our classic steel single speed city bike with platform rack and a touch of Raleigh heritage. Choose Size SM 5'3"-5'6" MD 5'6"-5'9" LG 5'9"-6' XL 6'-6'4"
If you’re looking for a fast, great handling city bike with classic good looks, you can’t go wrong with the Carlton. Whether you are cruising to the corner store for a sixer or riding to work, the Carlton is great for casual urban trips, quick errands and commuting. A single speed with flip flop rear wheel, the Carlton can also be a fixed gear bike. 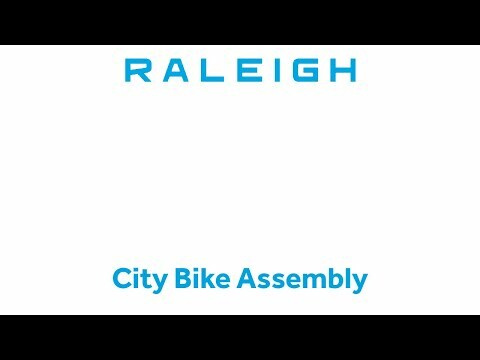 This city bike has a unique Raleigh silhouette with dual top tubes, a one piece integrated handlebar and stem for a nice clean look, and a platform rack with classy wood inlay featuring a burnished Raleigh Heron insignia. Reflective decaling on the downtube adds visibility for riding at night or the early morning hours, and the bike bell lets peds and other commuters know you’re coming. SM / Rider Height: 5'3" - 5'6" MD / Rider Height: 5'6" - 5'9" LG / Rider Height: 5'9" - 6'0" XL / Rider Height: 6'0" - 6'4"